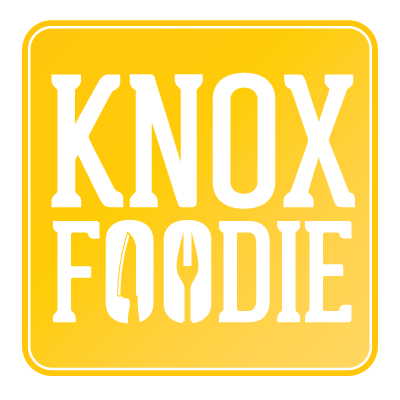 In this new series we are writing to discuss the latest Knoxfoodie adventure: a CSA subscription. We have been talking about participating in community supported agriculture for a few years and we finally decided to see what all of the fuss is about. 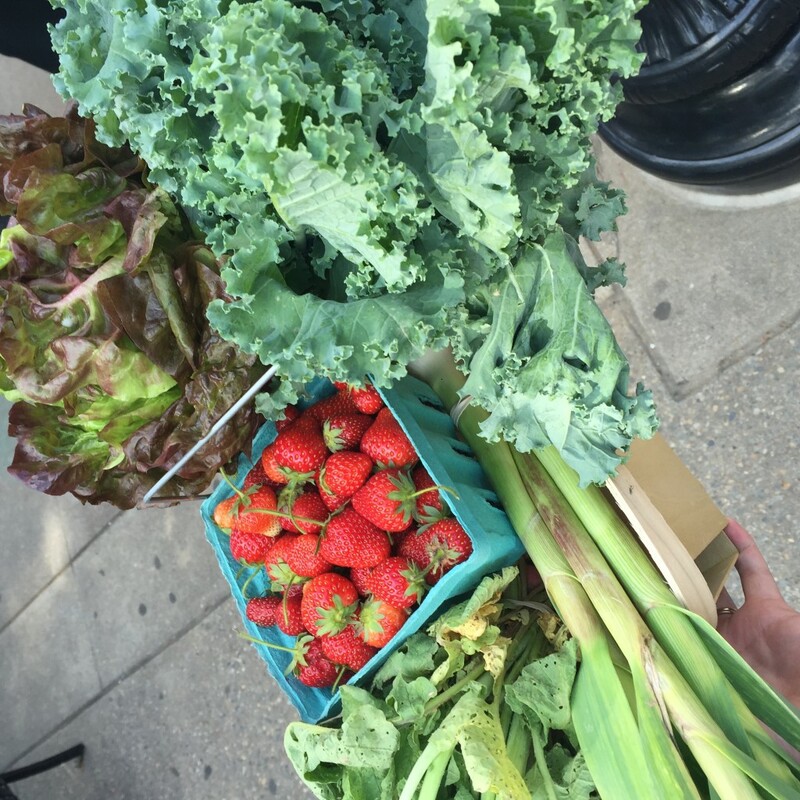 We did some research, communicated with a few folks and decided to go with Zavels Family Farm for our CSA. Zack was very responsive to the 437 emails of questions about how much, size of shares, pick up days, etc, etc, etc. We chose a half share as there are only two of us in the house and it’s our first time. The first few weeks our baskets looked very similar, mostly because it’s springtime. 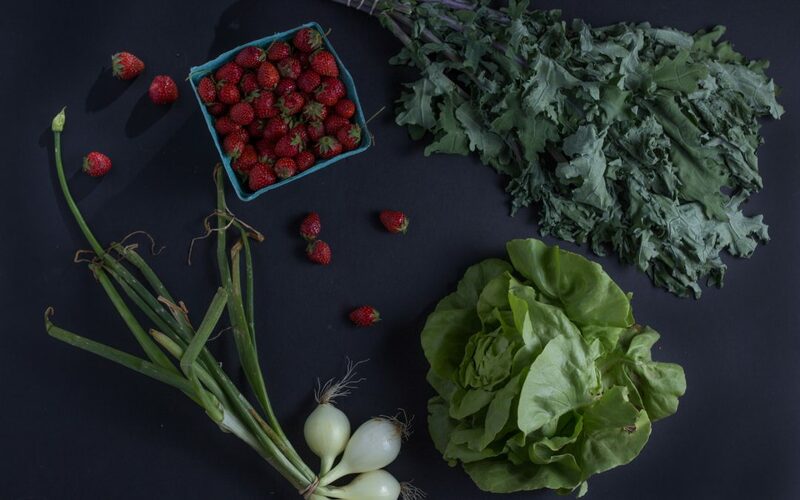 Lots of greens, onions, green garlic, radishes and strawberries. As it has warmed we have started taking home cucumbers, tomatoes, potatoes, broccoli, cauliflower, kohlrabi and now we’re into peach season! 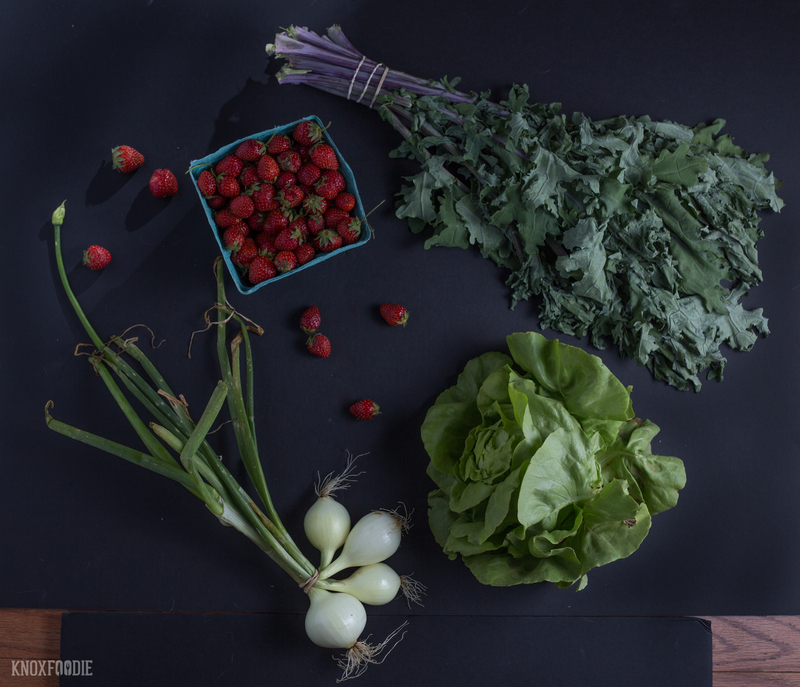 Below are some photos of our weekly bounty and a few of the yummy things we created with them. It was exciting to get kale because it is a green that seems to hold up to cooking very well. We used the kale and spring onions to make this delicious dish! Bacon, kale, onions and cider vinegar it’s like the south in your mouth. The grilled chicken was a great protein for this dish. So now you’re asking, “What did you do with the strawberries?!?! ?” I’ll tell you what we did, we ate them. We ate them plain, just like the came from the farm! So sweet and delicious. 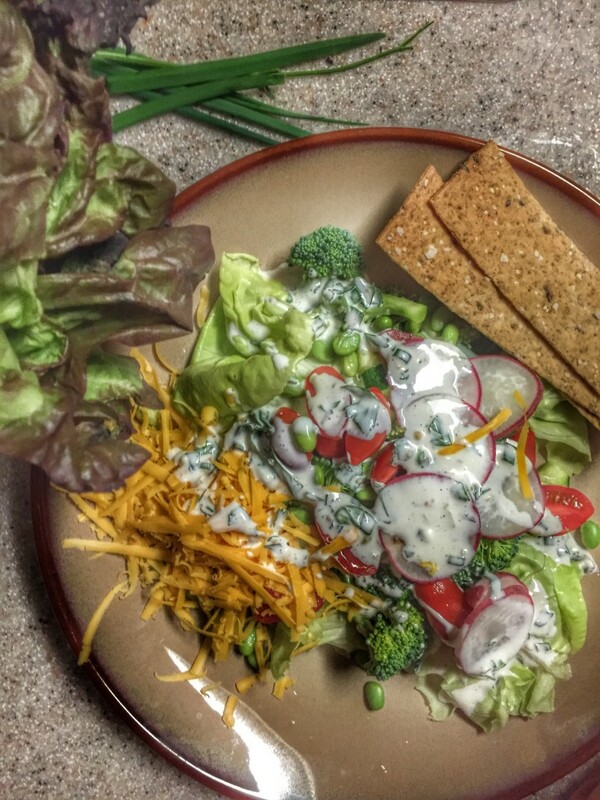 Salad with lettuce from Zavels Farm and housemade buttermilk dressing. Thanks Cruze Farm for the buttermilk! It’s delicious! Bring a cooler with ice. Your fragile veggies like salad greens will thank you! Keep your scraps in a ziploc in the freezer. They make a delicious stock for paella! You can always pickle or can. If you don’t think you’re going to get to those beautiful veggies in time, think about making pickles or pressure canning them so you can keep them around longer! There is MUCH more to come but for now just enjoy the rest of these photos!